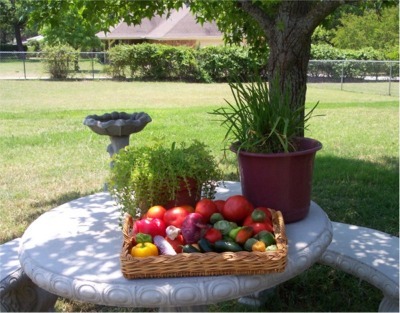 Disclaimer: Please learn about the benefits and risks of making fermented foods and proceed at your own risk to the best tasting salsa in Texas. Choose your ingredients first. I didn't have cilantro this time but used the following in the exact amount of one gallon total volume: garlic, red onion, tomatoes, tomatillos, jalapenos, habaneros, sweet red and yellow bell pepper, 2 tablespoons sea salt and 1/4 cup kimchi juice. 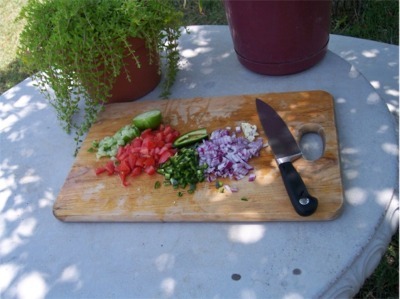 The most time-consuming part of making the best salsa you've ever had is chopping the ingredients. Mince the garlic and habaneros, finely chop the rest of the goodies. Place them in a large container as processing continues. Watch out for diving cats! 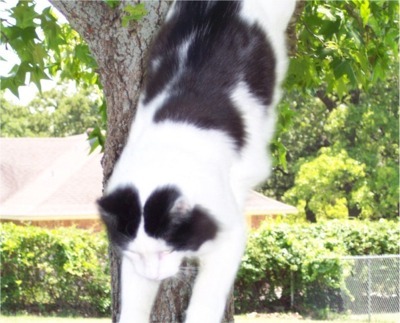 Diablo kitty wanted to get a closer look at the food preparation, so he jumped out of his sweet gum tree. He loves food. Add the salt and kimchi juice (if you have a batch, or use the juice from any compatible ferment you might have on hand). See Diablo? He decided it was too hot for his liking. 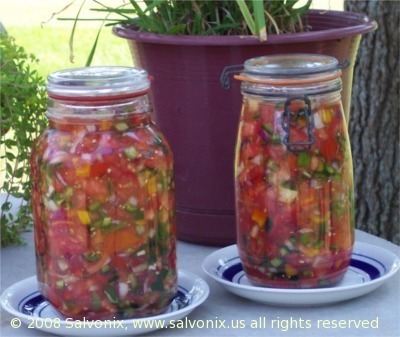 Pack the salsa into mason jars. 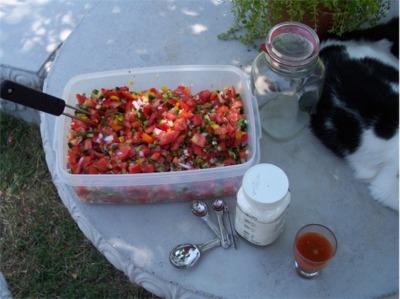 You can see by the 10-12 tomatoes, several peppers and all that I needed 2 half-gallon sized jars. It fit perfect, except for the stuff I slopped over, woops. 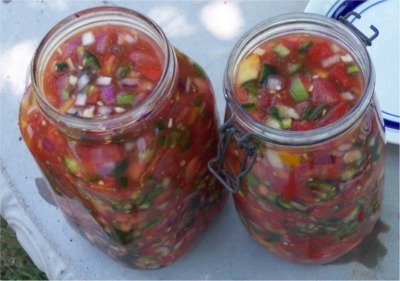 Now, don't seal these jars while they sit out on the kitchen counter from 1-4 days fermenting. Store them on plates in case juice flows out with the carbon dioxide the lacto-bacteria produce. That's why sealing the jars now would be a bad idea. These jars can explode if enough pressure builds. So just let the lids sit without clamping. After sitting out, wipe them off, seal them and refrigerate, letting the jars burp the first couple days. Eat now and up to one month after making.